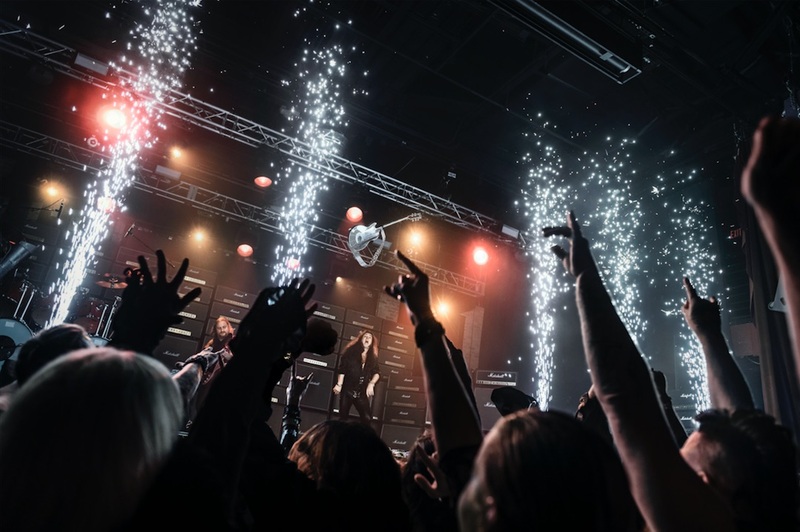 Guitar hero Yngwie Malmsteen has been smashing guitars since the age of seven with great enthusiasm and success – until now. 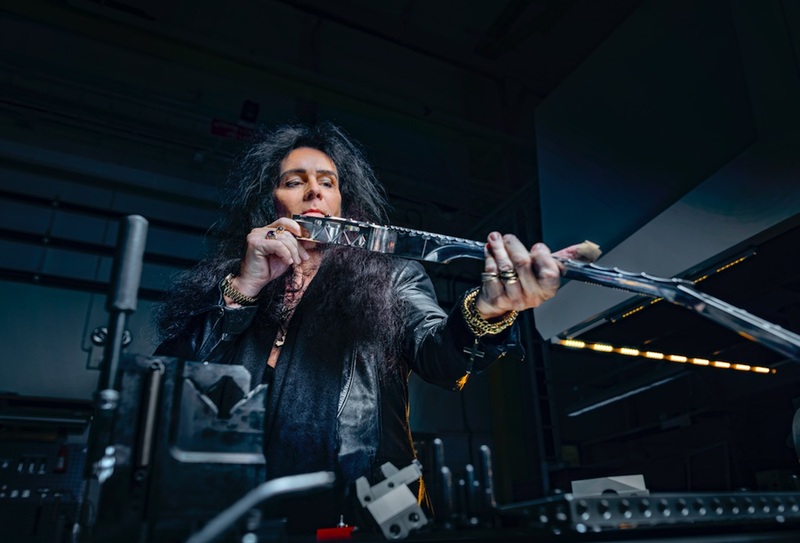 Sandvik has created the world’s first metal, smashproof, 3D-printed guitar and put it to the test by letting Malmsteen try his best smashing skills on it. The guitar, made from a unique combination of metal materials, was created using cutting-edge manufacturing techniques and critical precision for a design that is lightweight, sleek – and very durable. The challenge in creating a metal, smashproof guitar began with the design of the instrument. There are many ways to smash a guitar; considering all the critical points at which a guitar could break was the first barrier to overcome. 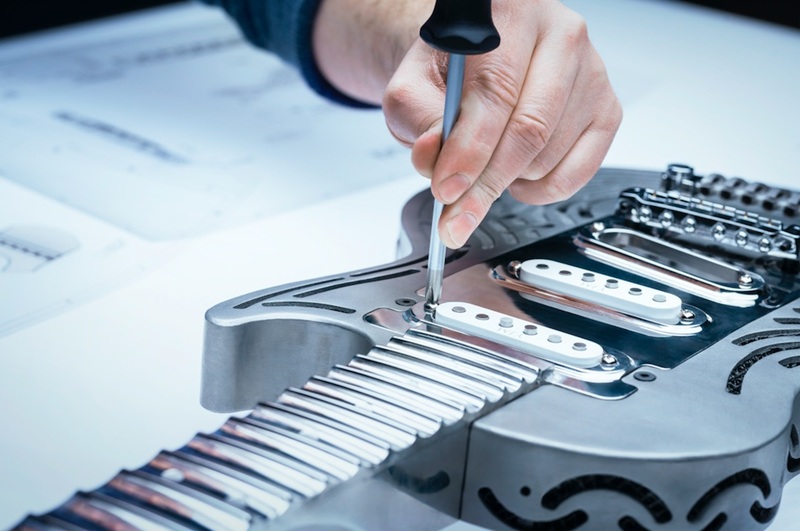 Sandvik engineers from around the country collaborated with UK-based Drewman Guitars, who lent their guitar-crafting expertise from the beginning of the process. The team strategized that removing the joint between the guitar neck and body would improve durability without sacrificing sound. The guitar’s neck and fretboard were milled in one machine and extended into a rectangular “hub” that reaches deep into the guitar’s body. These components were milled from solid bars of recycled stainless steel, a guitar construction that had never been tried before. The milling process alone required 90 separate operations, and was completed without stopping the machines to set up new tools and cuts. The use of additive manufacturing – 3D printing – gave engineers the freedom to design without limitation. Additive manufacturing allows for the construction of complex internal structures that can be then built into the guitar’s components to make it lightweight, stronger, and more flexible. 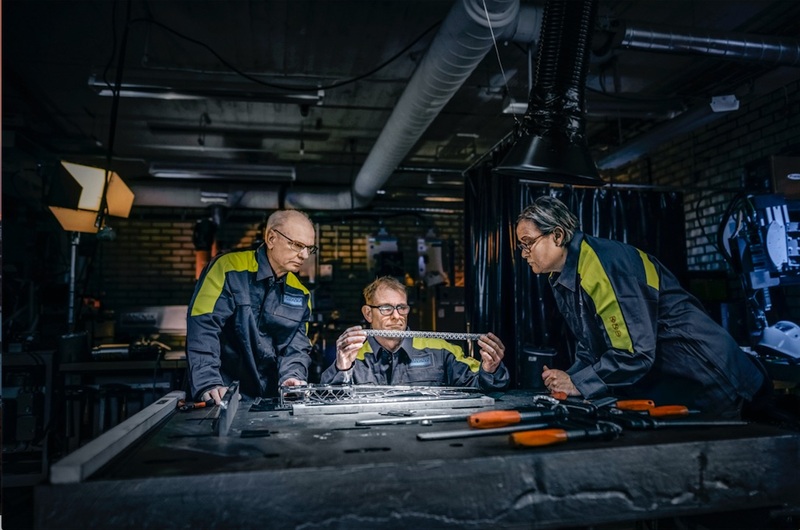 Sandvik’s engineers chose 3D-printing to minimize waste (the machine only uses the material it needs) and to remove steps in the supply chain, making the project that much more sustainable. The printing technology utilized laser-melting titanium power in microscopically thin layers on top of each other until the body was built up. Each layer printed thinner than a human hair, and the body alone took 56 hours to print. This additive technology, called Powder Bed Laser Fusion, has the ability to manufacture components that have extremely complex geometries – perfect for the intricacies of an instrument.The guitar’s volume knobs and tailpiece were also created using 3D printing. In addition to durability, weight was a key calculation in Sandvik’s crafting process. Malmsteen had to be able to play the guitar, as well as lift it overhead in the smashing process. As a result, the design included a hollow interior surface of the neck and fretboard, with a precise one-millimeter thickness in some places. To achieve Malmsteen’s signature sound, engineers had to cut away the material in long, smooth arcs between frets. Sandvik’s expertise in metal was used to its fullest extent in selecting and devising the materials used. Sandvik research and development specialist Tomas Forsman proposed using an Isotropic Lightweight Structure (ILS), the strongest structure for a given weight ever invented. The ILS is made from hyper-duplex steel, a grade that is proprietary to Sandvik. This hyper-duplex ILS was layered between the guitar’s neck and fretboard and concealed inside the instrument’s sleek construction. The end result? When Malmsteen put their design to the test in a live concert in Miami, there was total destruction on stage. Not of the guitar – of the speakers, amps, floors, and anything else Malmsteen tried smashing with the instrument. Despite Malmsteen’s best efforts, Sandvik’s craftsmanship and materials remained smashproof.